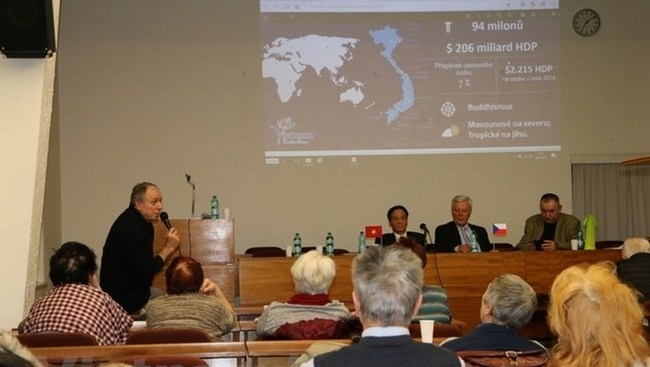 A seminar featuring Vietnam’s achievements and the Vietnam - Czech Republic ties was held in Prague on March 19 by the Communist Party of Bohemia and Moravia (KSCM). In his speech, Vietnamese Counsellor in the Czech Republic Tran Vinh Bac briefed those present on Vietnam’s achievements during more than 30 years of Doi Moi (renewal), especially in terms of socio-economic development and international cooperation in 2017. He highlighted the thriving bilateral relations, saying that the two countries have maintained their traditional political ties through many mutual high-ranking visits. Economic-trade and investment cooperation has been expanded, with two-way trade hitting US$1 billion for the first time in 2017. The diplomat voiced his hope that the two nations would foster their bilateral cooperation in the future, especially in tourism, labour, education and university training. 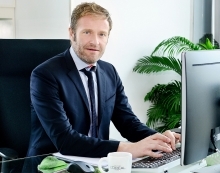 For his part, Josek Skala, Vice President of the KSCM, said that Doi Moi is a valuable lesson for the party’s members. 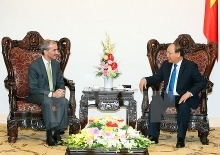 He said the two countries should address issues of mutual concern such as trade balance and visa procedure simplification, thus enhancing their bilateral cooperation in the future. At the seminar, participants discussed cooperation and investment opportunities for Czech businesses in Vietnam, highlighted in a recently-published book on Vietnam’s market. An exhibition featuring 30 photos and documents on Vietnam’s sea and island sovereignty, landscapes and people was also held on the occasion.